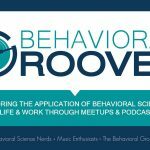 Today I’m Grateful For: Groundhog Day – Behavior Matters! I love winter too – skiing, skating, sledding (went to a very cool sledding event yesterday – Powderhorn park’s annual ART SLED RALLEY http://www.artsledrally.com/ – very cool). I don’t even mind the cold. However, I am looking forward to not having to shovel and to see some green again…but once summer rolls around, I’ll be missing Winter.